Why Should You Remove Cavity Wall Insulation? It is estimated that over 6 million properties around the UK have had cavity wall insulation installed. And of course the energy efficiency and cost saving make it very popular. However, we live on an island with a generally damp climate often exposed to high winds and even icy conditions. Instead dampness and cold is drawn through cavity into the inside of the property. You can see this if there are cold spots on walls in your home or unexplained patches of damp. Damp insulation cannot be ignored. If you suspect your home might be affected, we recommend calling us out as soon as possible. Damp proof course is a layer of waterproof material in the wall of a building near the ground, to prevent rising damp. Cavity walls can become blocked with loose debris such as sand, soil, birds nests, bricks etc which can bridge the Damp Proof Course (DPC) leading to cold and damp penetration often referred to as rising damp. Our expert team can quickly and cleanly remove this, eliminating the problem and allowing the property to dry and breathe naturally. Get a free quote online for cavity wall removal and extraction now. 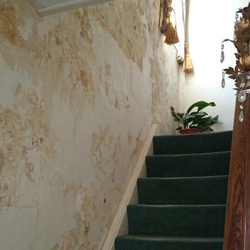 The damaged cavity wall insulation material is removed as unobtrusively and cleanly as possible. 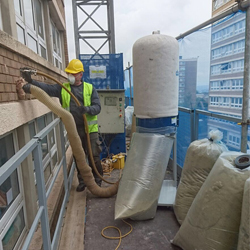 Compressed air is blown into the cavity while an industrial vacuum collects the damaged insulation from the bottom of the wall through strategically removed bricks. A boroscope is used to inspect the cavity throughout the process to ensure all damaged insulation has been completely removed. The old insulation is then bagged up and removed, while all the brickwork is made good. Watch the video below to see the Cavitech team removing cavity wall insulation. Damp problems are the main reason customers call us for cavity wall insulation removal. It is usually caused by poorly maintained exterior brickwork, severe exposure to wind and rain, lack of protection from other buildings and trees, or a combination of the three. 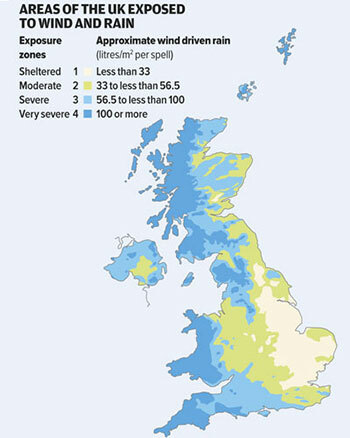 This graphic from Which.co.uk shows the areas in the United Kingdom that are exposed to the wind and rain and potentially more at risk to their cavity wall insulation causing damp problems. It has four different levels of exposure zones which indicate the approximate amount of wind driven rain which the building may be subject to. Published guidance by the Building Research Establishment says that in these cases there is ‘an increased risk of rain penetration if a cavity is fully filled with insulation’. Rain could penetrate the outer wall, bridge the cavity via the insulation material and transfer moisture to internal walls, causing damp. The video below shows just how bad the insulation can get. Watch the video below to see the Cavitech team removing damp cavity wall insulation. All of our work is guaranteed, and is carried out by qualified professionals. See our information page to learn about insulation replacement. We also replace/install loft insulation.